The Droid Turbo is a beast of a phone coming from Motorola. With its 5.2″ screen size, it will attract the market looking for sub 5″ phones. With the current run of things, looking for a decently sized phone with good specs became such a problem. With the Droid Turbo here, the competition needs some stepping up to do. As you can see above, the Droid Turbo also flaunts its majestic 21mp camera which can record 2160p at 24 frames per second. That’s already beating a whole of cameras despite it mainly being just a smartphone. Running the Droid Turbo will be the quad-core Qualcomm Snapdragon 805 capable of running the most demanding apps. Giving power to the whole phone will be a non-removable 3900mAh battery, more than enough to last you the whole day under medium usage. Motorola’s turbo charger is also compatible with the Droid Turbo. This will allow you to charge the Droid Turbo exponentially faster than normal wired charging. Here in Qiwireless though, we look at wireless charging as the future way of charging our devices. With the Droid Turbo, they have opened up the possibilities for this with turbo charging and Qi wireless charging available. We are unsure as to whether they use the new 1.2 standard or a previous version, we do believe that they’ve used the new one which lets the Droid Turbo be charged at a significant distance away from a wireless charging pad. Got It, Love It, Wireless charging is a must have for me. Always surprised at the lack of interest and focus manufacturers have on this feature. Hardly gets a mention during Ads and Marketing of the device. That’s because Qi wireless charging is still slow compared to using a wire. Not good for people on the go who needs a quick charge during the day. You can’t use a Qi charger on a droid turbo for a quick top off. Will all Motorola Droid Turbos have the Q1 wireless charging compatabily.. Mine is about 4 years old.. This is very convenient. Even for people on the go. After all,the phone is not surgically implanted to your hand which means you have to put it down somtime. Might as well let it charge during that time. 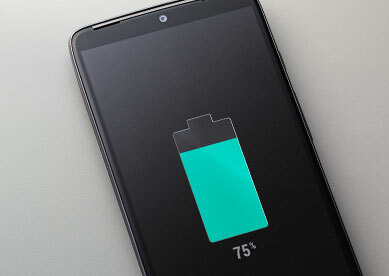 How do you make QI charging work on the platform? I just got a QI charger off eBay that’s supposed to be for Turbo1 or 2. When set on platform, it does notta nothin’ essay…. TJ, did you ever figure out how the QI charger works for a Turbo? I am looking into a QI charger myself and want to know if you were successful.